What do scientists think about the Great Barrier Reef? That’s the question Leigh Sales should have been asking rather than playing prompt to Julie Bishop’s spin on the 7.30 Report. preserving more than 10 per cent of coral reefs worldwide would require limiting warming to below +1.5°C (atmosphere–ocean general circulation models (AOGCMs) range: 1.3–1.8°C) relative to pre-industrial levels. What President Obama and the Chinese are doing is not nearly enough to save the Great Barrier Reef, and there’s a fair chance that Obama knows it. Bishop said on Friday the government did not believe the reef was in danger – a comment that contradicts the scientific consensus that it is. says very clearly that the reef is in poor condition and continuing to deteriorate, and that major actions are needed to stop that deterioration. The reef’s lost half its coral, it’s lost most of its dugong, seagrass is in poor condition. 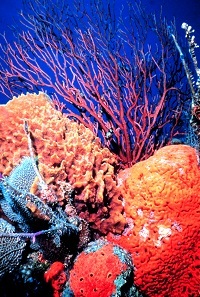 Most of the major indicators of the reef are in a serious state and serious state of decline. And hence, whatever management we are doing now, whatever standard it is, it’s not enough. The Queensland and Federal governments have come out with a draft Reef 2050 Sustainability Plan to address the reef’s decline but Brodie describes it as “very weak”. the Government’s own report on the reef, very clearly says that climate change is a major issue for the reef. And if we don’t do anything about it, somebody doesn’t do something about it, then there’s not really a lot of hope to have the reef restored to its, you know, good value. The SMH asked several scientists including Brodie, Dr Ove Hoegh-Guldberg, Director of the Global Change Institute at The University of Queensland and Dr Charlie Veron, a former chief scientist at the Australian Institute of Marine Science. 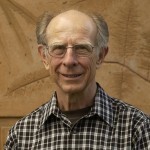 Ove Hoegh-Guldberg was involved in the Frieler research cited above and stressed the dangers of ocean acidification. In 2012 he wrote an article for The Conversation pointing out the inappropriateness of the 2°C guardrail for preserving coral reefs. “In the long term, that is the whole of this century, we are going to have the Great Barrier Reef slaughtered,” Dr Veron, a world authority who has scientifically named about one-quarter of all known corals, said. Currently UNESCO is undertaking a review of the Great Barrier Reef’s World Heritage status, due for completion by mid-2015. Both Brodie and Veron see the Queensland and Australian governments in a frenzy to head off an ‘endangered’ listing. It was pointed out on the ABC Insiders program that such a listing would inhibit the financing of planned developments. Obama is right to worry what his granddaughters will see if they come to visit. It’s possible there will still be something worth crossing the Pacific for. Chances are, however, that his great granddaughters will stay at home. It’s all very simple really – Government spin versus very real concern by scientists, a threat to UNESCO World Heritage listing with flow-on effects on development, and international goals for a 2°C guardrail which will see the reef destroyed. Brian: I would have thought that the overwhelming issues are acidification and the rate of change. 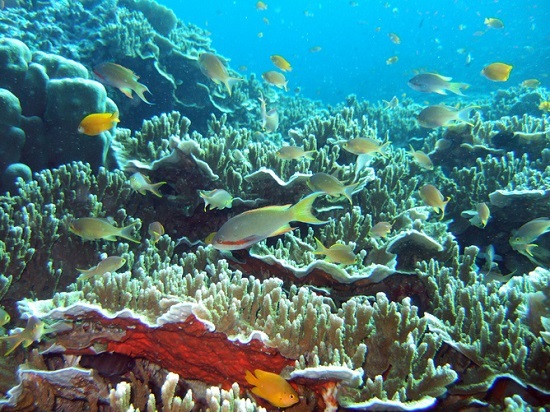 May reefs operate in waters that are warmer than the barrier reef. Having said that I would agree strongly that both the Qld and Federal Tea parties are behaving as though they don’t give a stuff despite all their protestations. John, yes acidification and rate of change in temperature are big issues. I read somewhere that in similar periods of rapid climate change, though not as rapid as now, reefs were decimated and took 3-4 million years to recover. There are further issues relating to depth of water and vulnerability to storms, but I would think these are minor compared with acidity and temperature change.